I am looking to find the four girls that made these Beatles dolls. The four girls were from a fan club in Ohio but gave them to the Beatles during the press conference in Atlanta in 1965. If anyone knows any more about this or where I can get a good photograph to use in my book, I would appreciate the help. That would be a really good book: "The 'GONKS' People Gave The Beatles". 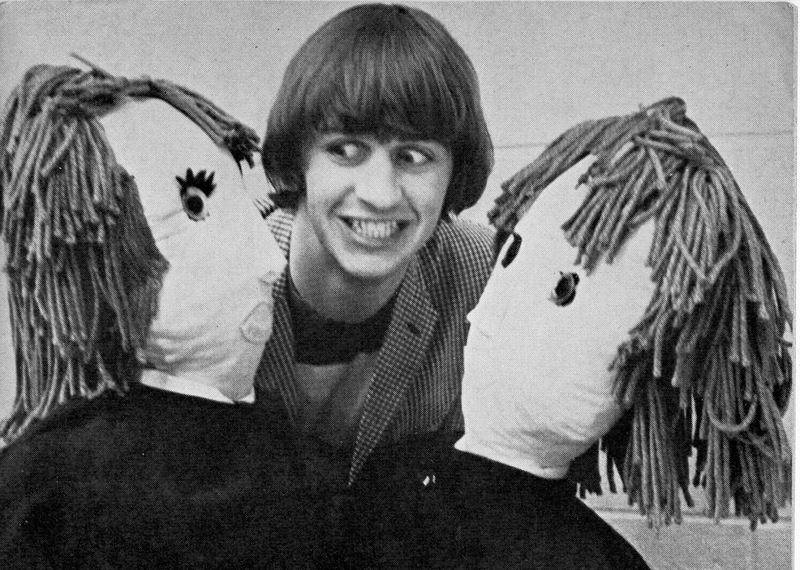 Some of that stuff, like those stuffed Beatles, is plain hideous. I can definitely see why George got sick of the "Beatle People". Why so negative? People created these items and gave them to them out of love! You make it sound horrible. What the hell is a gonk, anyway? A gift? A trinket? The Gonk is a stuffed toys that was popular in the UK around 1965 -- I don't think they were very popular in the States. I think they are cute. I also love the fact that these fans put some much love and time into these dolls. The Beatles seemed to enjoy them in all the photographs I have seen. The Beatles seemed to enjoy MAKING FUN OF them in all the photographs I have seen.